for review purposes. All opinions and toasty feet are my own. Oh how I love getting Vox Boxes from Influenster on my doorstep! When I see those distinctive boxes, I know there are lots of neat-o goodies inside for me to try out. 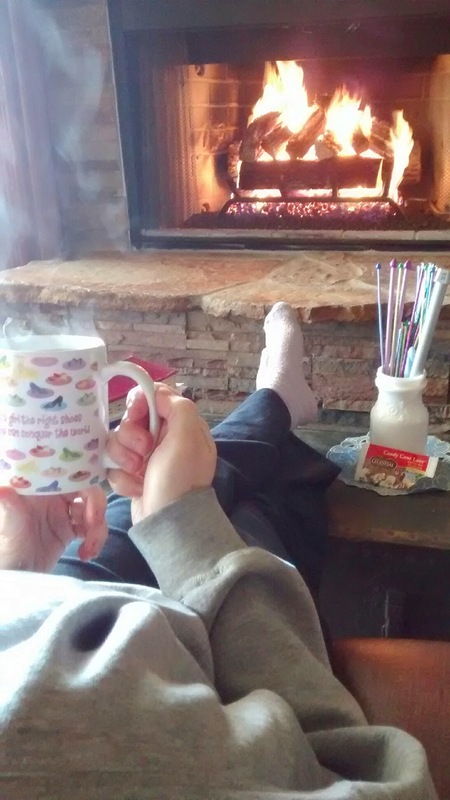 I think my favorite products were the McCormick thyme since I use the heck out of that spice, the Eco Tools hairbrush which was awesome, and the Celestial Seasonings tea because it gave me an excuse to sit down with my feet up. I had never tried Fruit Vines before I received this sample and I liked them. I prefer the really tart gummy chews but these had a nice flavor and not licorice-y or waxy like some other candies in this space. The NYC Sugar Plum lipstick is such a lovely color and has great staying power - exactly the two things I want in a lipstick. This shade goes with all kinds of skin tones. Our English friend Georgia happened to be standing next to me when I opened the box and when she saw the Rimmel eye liner, she exclaimed, "That's good stuff! That's the only eyeliner Morwenna uses." Morwenna is her sister who is into all things girly. I liked how the eyeliner glided on my eyelids and if you want staying power, then buddy, this has got it. So much so that I used two kinds of eye make up remover and soap and water to try and remove it. I was so thankful to remember that coconut oil is a gentle make-up remover and it took the eyeliner right off. I am familiar with Boots products because it is the well recognized drugstore of England (think CVS in the UK.) When we lived overseas, I used Boots branded products often and was always happy with the quality. The No. 7 Serum does not disappoint. So there you have it folks! I look into some products that you may or may not have heard of before. 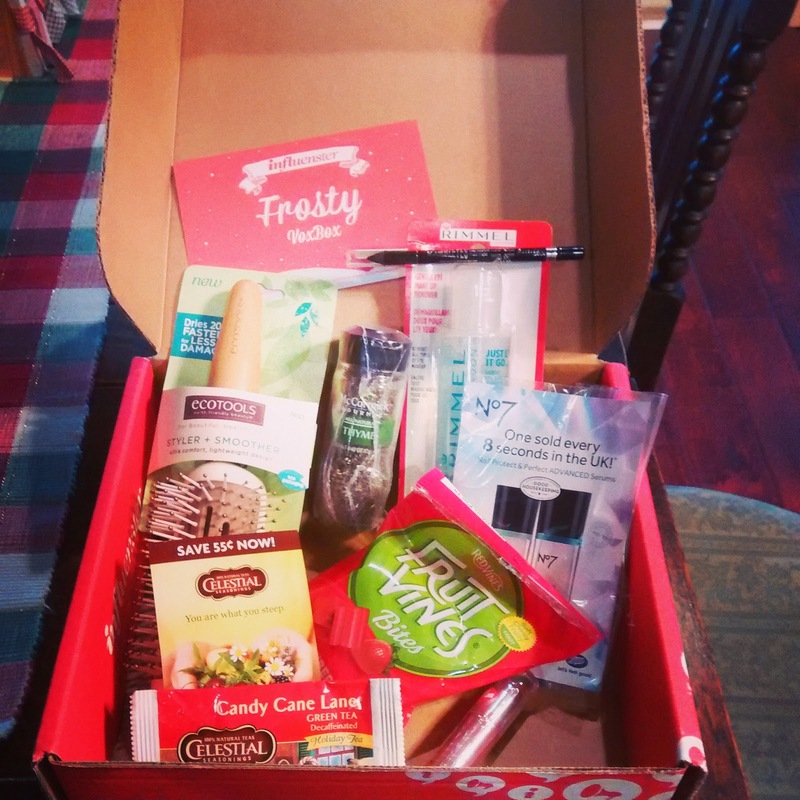 Thanks Influenster for the opportunity! Sounds like they sent you a great box of goodies! They sure did! I was super happy with the products.